Biography: Todd Richards was born in Dallas, Texas. He received his Bachelor of Business Administration degree from The University of Texas at Austin in 1985. He graduated from Southern Methodist University School of Law in 1988. After graduating law school, he practiced law as a sole practitioner in Arlington, Texas for seven years. Thereafter, he had an opportunity to go overseas and serve as an attorney on certain federal claims. After returning to the United States, Todd worked as in-house counsel for Liberty Mutual Insurance Company and then joined The Silvera Firm in 2001. Todd has extensive experience handling workers’ compensation claims and general liability claims consisting of numerous benefit review conferences, contested case hearings, and also has handled over 35 jury trials. 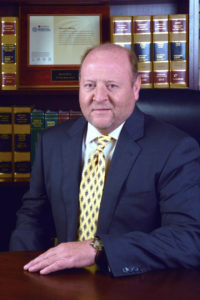 Todd is licensed to practice before Texas state courts, as well as the federal Northern District of Texas. When not practicing law, he enjoys spending time on his horses and motorcycle.